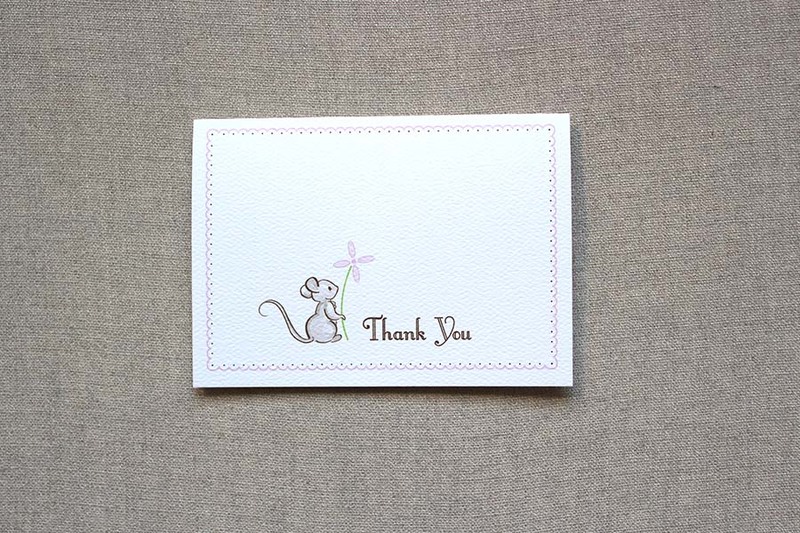 Set of 10 Thank You Cards with matching white envelopes. 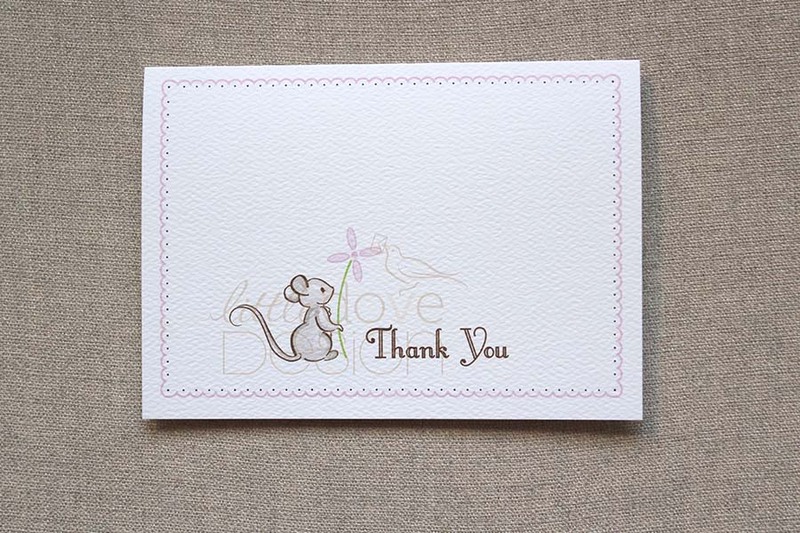 Digitally printed on folded felt watercolor paper, this card features a hand illustrated mouse and thank you sentiment The inside is left blank for you to add your own personal notes. 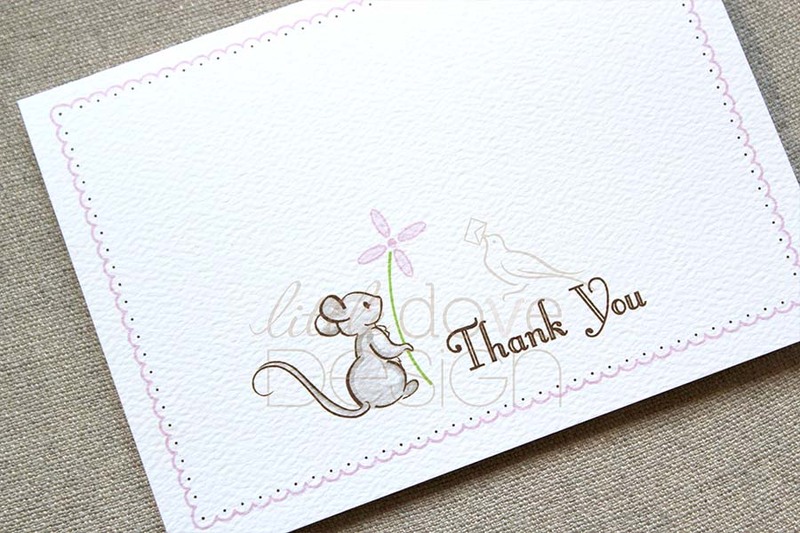 Matching Shower Invitation and gift tags are available to complete this beautiful woodland shower theme.